The football tournament that kicks off in Russia begins with a match between two players who are already occupied playing a different game, with even bigger stakes. On June 14th, the Football World Cup will begin in Russia with the match between the host team known as the “Sbornaya” and the “Falcons” of Saudi Arabia. This event will provide an instructive (but distorting) mirror on the Middle East: it will highlight a geopolitical convergence that might change the balance of power in the region. 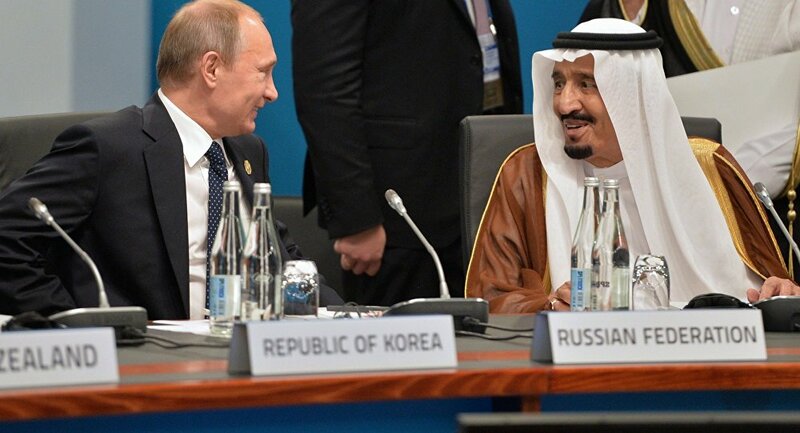 But it will not hide the structural divergence between the Federation (of Russia) and the Kingdom (of the Saud). A green pitch and 22 players are not enough to change the geopolitics of a region… but they can give insights on its evolution. The tensions between Russia and Saudi Arabia have mostly given way to co-operation in the last two years. In October 2016, oil and gas prices were at their lowest, fiscal difficulties accumulated in Moscow and Riyadh, and Russia deliberately distanced itself from OPEC’s decisions. Nonetheless, the two countries concluded an agreement to limit production and boost oil prices. Moreover, in October 2017, the Saudi monarch made his first state visit to Russia, accompanied by a delegation of many business leaders. The reformist heir, Mohammad bin Salman is engaged in a transformation of the Kingdom, a war in Yemen and in a “Great Game” against Iran while at the same time holding a rich dialogue with Moscow. Saudi Arabia has even announced plans to acquire Russian S-400 air defense systems even as the Kingdom is targeted by fire from Yemen and is traditionally supplied with US PATRIOTs. Despite the media operation, the opening match of the FIFA World cup 2018 will not overshadow the limits of this rapprochement. Since the “Pact of Quincy” concluded between Roosevelt and Abdul-Aziz Al-Saud in 1945, the pillar of the security of the Kingdom and the dynasty is the American alliance. Co-operation with Russia can hardly replace it. Indeed, the Trump administration reactivated Saudi politics and cemented this warming with the help of 380 billion US dollars in contracted projects. In addition, Saudi and Russian trade and investment struggles to take off. Iran is and will remain the big stumbling block between the two countries: for Russia, the Islamic Republic is a great ally in Syria; for Saudi Arabia, it is a rival trying to encircle them in Yemen, Iraq, Syria and Lebanon. The vicissitudes of the draw placed two out of these three powers in the same group of the World Cup. But on the ground, the complex rivalries between these three rival actors shape the region. On the evening of June 14th, the most interesting spectacle will be in the stands. In the run up to this grand opening match, Russia will use it as an international showcase and send a series of messages to the world: first, Russia is back on the scene of the Middle East in the long run; second, its alliance with Shiite Iran in Syria does not exclude Sunni friendships in the Arab world; third, Russia has sufficient international influence to approach US allies in the region. On the economic side, it will be essential to control organisational costs because Russia’s economic situation remains precarious: since 2014, its GDP has contracted by minus three per cent and the poverty rate has increased. Moreover, Russian public finances are put to the test by Western sanctions and low oil prices: in 2010, the World Cup was awarded Russia when the barrel of oil was around 70 US dollars, against 50 US dollars today. The Olympics in Sochi were a warning: with a record budget of 36 billion euros, cost slippages, scandals, they had generated few economic spinoffs. The challenge today is to show that national prestige can cope with rigorous project management. To succeed in this marketing operation, Putin has chosen host cities only in the European part of Russia to facilitate the movement of Western tourists. He also simplified the administrative procedures for supporters to enter and move in Russia. The goal is above all to address European supporters directly to counter the supposed Russophobia of the Western elites. For the Russian president, the priority will be to show the prosperity and confidence found in a state under economic and financial sanctions that have suffered a serious crisis. Indeed, he recently announced that he wants to lift Russia to 5th place among the world economies by 2024. The World Cup will be a landmark in the beginning of his fourth term as President of the Russian Federation. Re-elected in the first round on March 18th, he has not yet been able to celebrate this victory on the global scene: the Europeans have been reluctant to congratulate him on the announcement of the results, the operations in Syria and the chemical attacks by the regime of Al- Assad eclipsed the event and the Skripal affair coincided precisely with the election victory. The success of the 2018 World Cup will be decisive for the “Putin IV” mandate: an ISIS attacks, a Western diplomatic boycott (announced by Iceland and the UK), financial scandals, empty stadiums, racist demonstrations by hooligans or opposition demonstrations would impede the new impetus sought by President Putin after two decades in power. On the contrary, an image success in the eyes of the international media, in a completely modernised Moscow, would further strengthen the international influence of the Russian President. A victory of the Russian team in the final on the eve of July 15th in a brand new Luzhniki stadium would certainly give additional leverage to the playmaker of the Federation. But the Russian national selection is most likely to be eliminated according to most pundits. The Russian President however, will certainly be there on the night of the final. To show the world the tournament was a success, an international showcase.